Our dedicated staff team are based at three different sites and also work within the community. 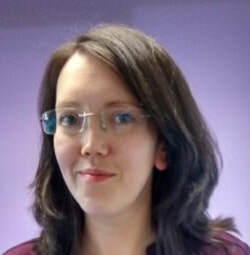 Alison is our Project Manager and is based in Campbell House. She works closely with the team to ensure that our work runs smoothly and reaches as many people as possible. in a range of settings including local care homes, hospital wards and in our dedicated music space in Campbell House at Gartnavel Royal Hospital. ​Neil and Steven are our bike engineers. They are both passionate about bikes and use their skills to teach others how to build their very own bike. Neil is based in our workshop in Maryhill and Steven is based at our workshop in Bridgeton. We are governed by a voluntary board of trustees. Each member brings a unique set of skills and a huge wealth of experience. The board work closely with the staff team.